Spotlight is a rarity. An adult film dealing with a lurid and shocking subject matter that never once feels the need to sensationalize or highlight it, deciding, instead, to treat it in a manner of respect, mainly for the victims, and for never once placing the heroes who dared to uncover the disgrace on a pedestal, instead showing them as regular people who were doing a job. In 2001, the Boston Globe had a new editor, Marty Baron, a Jewish man from Florida, working on a paper in a town predominantly made up of Catholics. 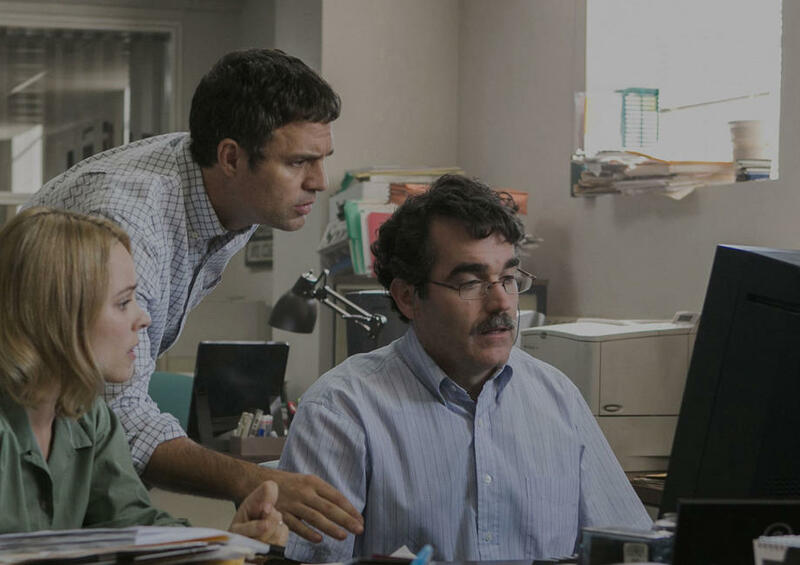 He brings the paper a story about a priest accused of sexual abuse to a minor, setting the investigative team of the paper, known as Spotlight, onto the case, while the paper tries to have court records about previous cases open to the public. Spotlight editor, Walter ‘Robbie’ Robertson, and his team start delving, only to discover that there is more to this than just one priest but a whole network being covered up by the church. Director and co-writer Tom McCarthy has taken the true events that occurred and delivered us a gripping and almost unbelievable tale of a society protected by the people they work for. It has become apparent of misconduct within the Catholic Church and while the film is dealing with such a horrific act, McCarthy and co-writer Josh Singer, have produced a film that is careful yet effective, that puts the “survivors” as they are called, first, respecting, not only their privacy but respecting them by never once crossing that line between good and bad taste. Yet by being so restrained in the details, it has more power, as the reporters of Spotlight discover cover-up after cover-up, refusals to talk and even, in one incredibly uncomfortable scene, a priest openly admitting to the crime yet trying to justify it. By the time the film ends, you are shaking in anger, shaking in pure emotion, shaking at the thought that these cowardly men could get away with this, all the while hiding behind the church. The film is brimming with subtleties. The Armenian lawyer, Mitchell Garabedian, a man who defended the victims, tells a reporter that it took an outsider, a visitor, to notice what was going on and that he, not being from Boston, too could see it, yet everyone else couldn’t. One of the survivors replies, when asked why he didn’t say anything, simply replied that having a priest pay you attention was like having God in the room. It’s also an old-fashioned film. From it’s opening sequences, where we get to know the key players, get to know the importance of the Catholic Church within the community, it moves along not at a breakneck pace but allows us to digest the information and absorb the cover-ups and blatant ignorance to the crimes. Yet even though it never rushes, you are drawn into the story and these characters and it’s as effective as any thriller with car chases and explosions. In fact, there is only one moment when one character loses his temper and raises his voice, while the rest of the film is played out quietly. Even the poster has that 70’s conspiracy theory feel about it, with just the faces of the stars adorning it. Along with the superb script is an ensemble team of actors at the top of their game. It is almost impossible to separate their performances because each one is as good as the other. Mark Ruffalo proves he is more than just the Hulk, while Michael Keaton’s return is certainly back on track. 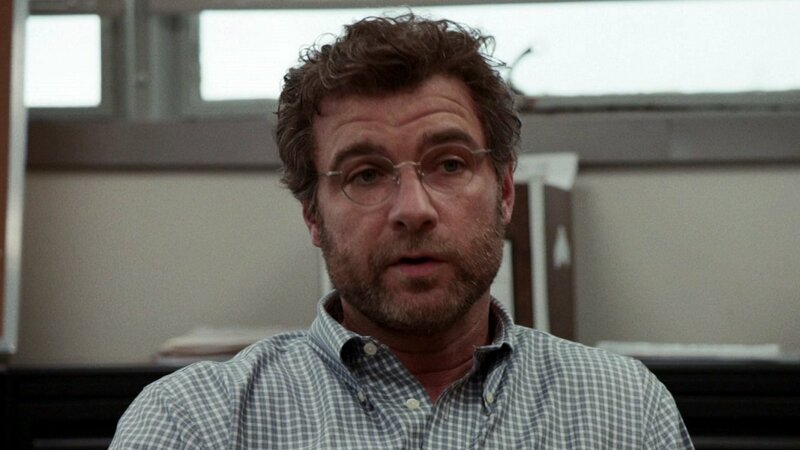 Liev Schreiber, as Baron, gives such an understated performance, it could be the bravest performance of the year. 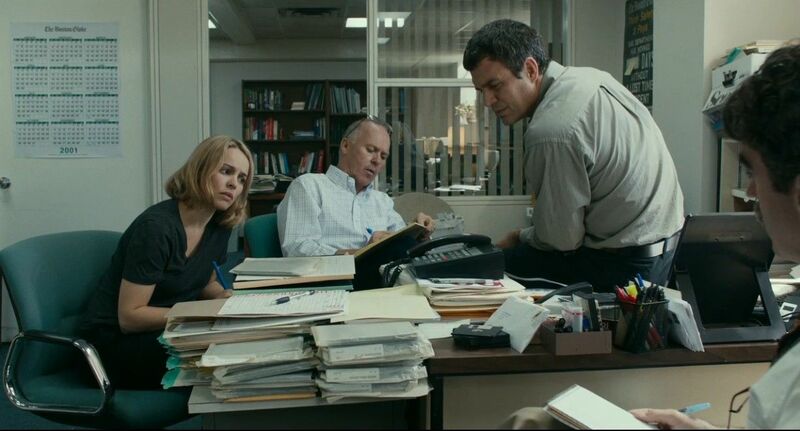 Spotlight is possibly the best newspaper film since All The President’s Men. It is powerful, gripping and ultimately heartbreaking. In a week in which a film is released that uses child molesting as a joke (the appalling Dirty Grandpa) and which has been given a massive blanket release, this is the film that these grubby film makers need to sit down and watch and understand that it’s not something joke about. It’s also a film that shows we still need good, honest investigative journalism and that they are not full of creeps who tap phones or go for sensation headlines but who genuinely care. Spotlight is a film that demands your attention. I came out visibly shaking. Not many films can do that to me. Extraordinary.